Locked out? Broken Key? Lost Key? 24-7 we are here for you! Call our emergency locksmith dispatchers and we will get a technician to you fast. We have fully stocked and equipped vehicles for new or replacement keys and professional technicians trained in all types of keys, locks and lockouts. Residential commercial or automotive, we have the key solution for you. We cover the entire Portland & Vancouver Metro Area! We are fast, friendly, and affordable. If you find yourself locked out of your vehicle, give us a call. Lost your key? We can also help. We stock a large supply of common keys and can get most others the next working day. Trained professionals can be at your home and help you get in quickly. At D&L we train for all types of locks and lockouts. Fast and friendly service! Garage doors provide different challenges but our technicians are trained to recognize the best way to help you get your door open. We at D & L Locksmith know these challenges and will work to get your issue resolved. 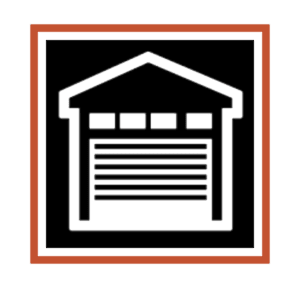 Our other business, D&L Garage Doors, can help with garage lock outs as well as other garage door problems. We know that time and security are as important as money. Business doors are also one of our specialties. We carry parts for business doors from locks to closers, from push bars to high security locks. Whatever the need, we will be there as fast to help you with your security and lock needs. We pride ourselves with our quick response times! Our trained dispatchers are standing by and whether it be your car, home, garage, storage unit, desk or even a gym locker, we can help. We have fully stocked vehicles with licensed and bonded technicians trained and ready to help you. DBA D&L Garage Doors | DBA D&L Locksmith. AFTER HOURS SERVICE IS AVAILABLE!